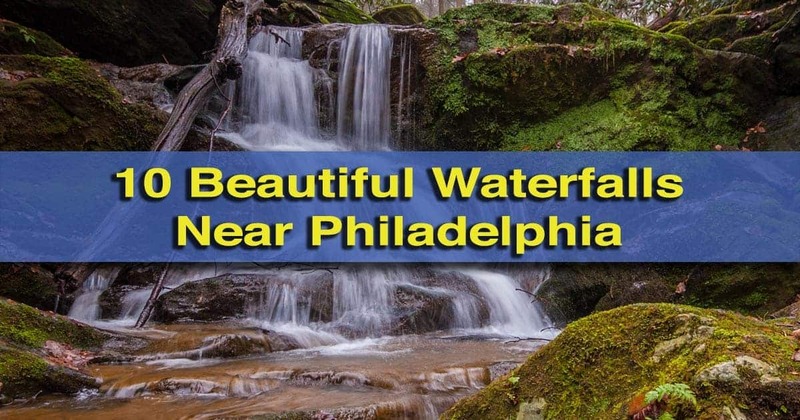 Looking for great waterfalls near Philadelphia to visit? 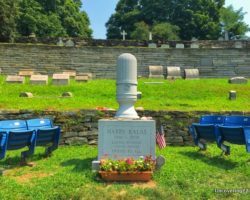 While there are few near the city, there are plenty of great ones to explore if you don’t mind a short drive. 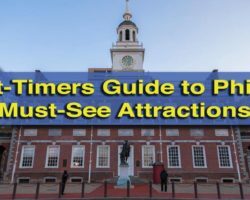 To help you plan your adventures, I’ve put together this list showcasing 10 of my favorite waterfalls within two hours of Philly. 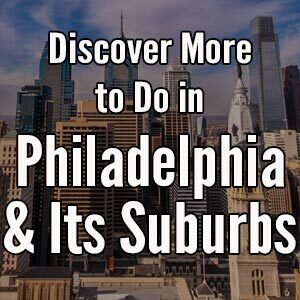 These offer great day trips whether you are looking for hikes near Philadelphia that feature a waterfall or simply want to explore the beauty of nature without much exercise. 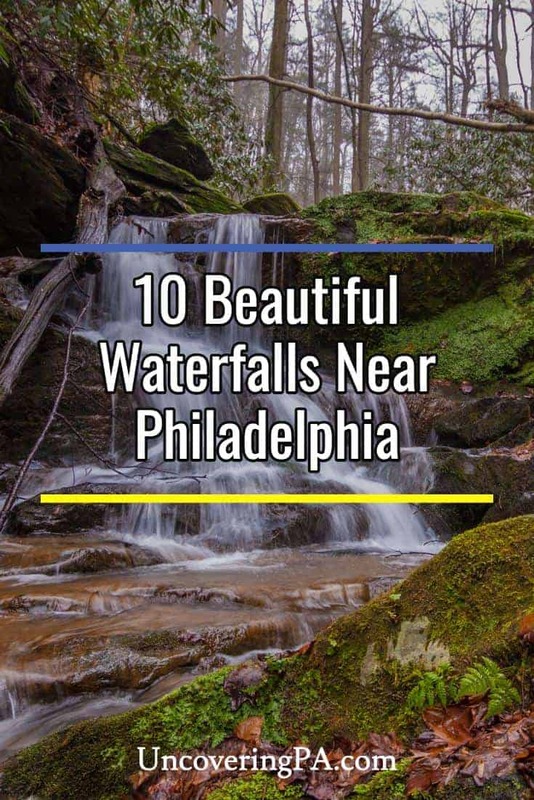 Check out 10 of my favorite waterfalls hikes near Philly below. The area around the small, but scenic Devil’s Falls. Devil’s Falls by far the smallest waterfall on this list, but it’s also the only one within the Philadelphia city limits. Located in the heart of Wissahickon Gorge, Devil’s Falls is a roughly five-foot slide that falls into a popular area known as Devil’s Pool. While swimming is not allowed here, and can be quite dangerous, it’s still a popular place during the summertime. If you want a tranquil visit, head here during colder weather or early in the morning. The area can be found on the Wissahickon Gorge Map just north of Valley Green. Hiking to one of the three waterfalls in Glen Onoko. Glen Onoko near Jim Thorpe, Pennsylvania is located roughly an hour and a half from Philadelphia. This gorge features three waterfalls along a short, but challenging trail. The hike can be extended using trails in the surrounding state game lands for those wanting a longer hike. When visiting, make sure to stay on the trail, as there have been several deaths and significant injuries in recent years to those that have gone too close to the edge of the falls. The uppermost of the three waterfalls on Slateford Creek. The three waterfalls of Slateford Creek are located in the southernmost reaches of the Delaware Water Gap National Recreation Area near Stroudsburg, Pennsylvania. While not as well known as some of the others in the area, these waterfalls are well worth the two-hour drive to see and can be combined with others in the area. The falls can be reached via two short hikes or one longer hike along the creek. The uppermost waterfall along Mill Creek. 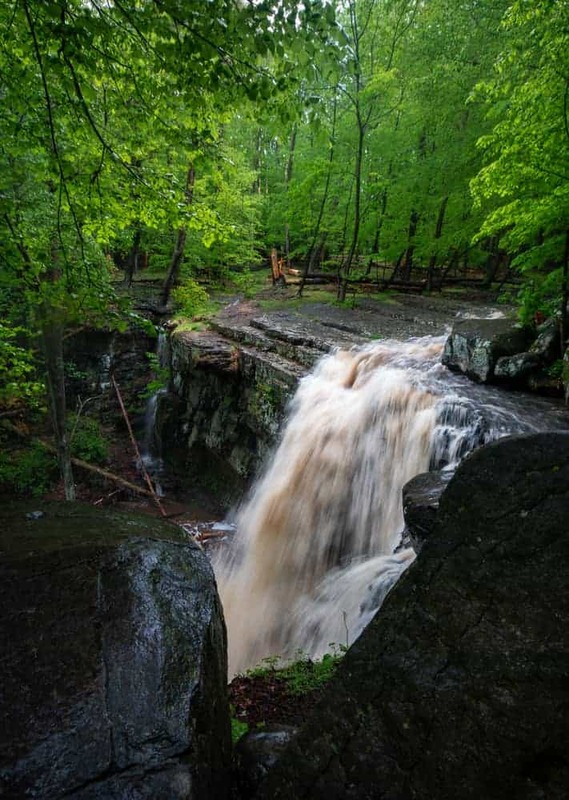 Mill Creeks Falls is located in southeastern York County about 90 minutes from Philly. 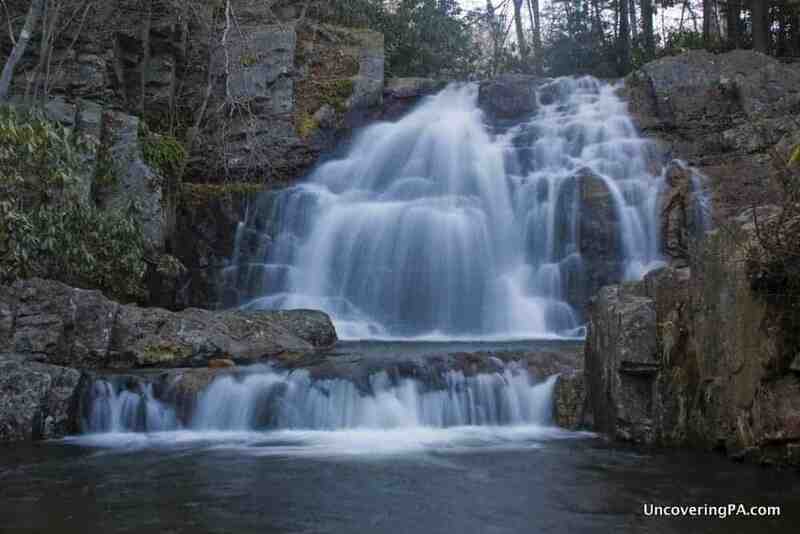 This waterfall is located mere steps from a dirt road along the banks of the Susquehanna River. 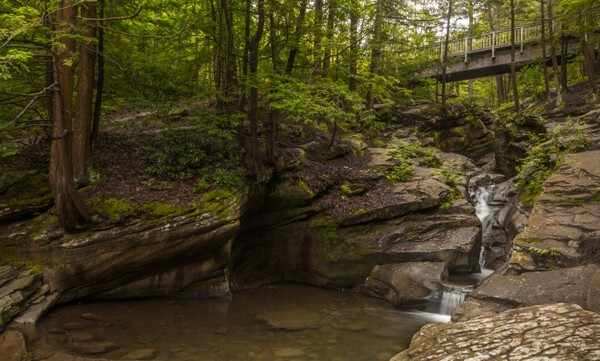 However, for those looking for a more extensive hike, it’s reached via the Mason-Dixon Trail, a 200-mile trail that offers great hiking opportunities. While here, don’t miss a second waterfall that’s a short hike further upstream and the historic Lock 12 area. Hawk Falls in Hickory Run State Park is a perfect choice for those looking to get out of the city. Hawk Falls is a beautiful waterfall in Hickory Run State Park. This Carbon County, Pennsylvania, park is a great destination in its own right, but is perfect for those looking for waterfalls near Philadelphia (it’s about an hour and a half from the city). Hawk Falls can be reached with a 10-15 minute hike from the parking area. This waterfall can be viewed from both above and below. High Falls often runs dry, but can really flow well during periods of high water. High Falls is the tallest waterfall in Bucks County and is located in Ringing Rocks County Park, about 75 minutes from Philadelphia. While this waterfall only flows well during a major thaw or after a big storm, it’s worth seeing if you time it right. Even if it’s dry when you visit, the park’s namesake Ringing Rocks are well worth checking out as they make a very unique sound when struck with a hammer. Bushkill Falls is the name of a privately-owned park located near Stroudsburg about two-hours from Philly. There are 8 waterfalls located in this park and many are connected via boardwalks. 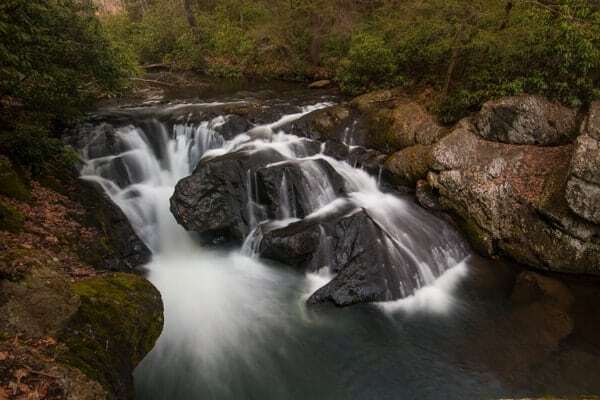 There is an admission price to visit these waterfalls, but they offer easy access for those looking for some of the region’s top waterfalls. 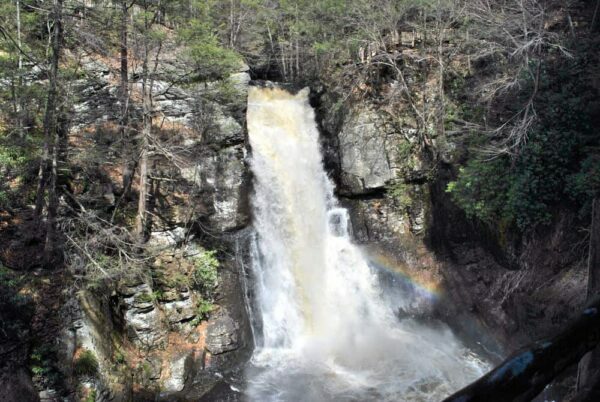 Note that since Bushkill Falls is a privately-owned park, it is closed during the winter and has operating hours. 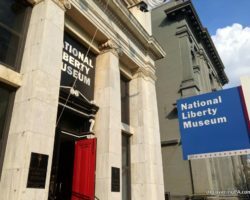 Make sure it will be open prior to heading out to visit. Looking down at Wild Creek Falls in Beltzville State Park. 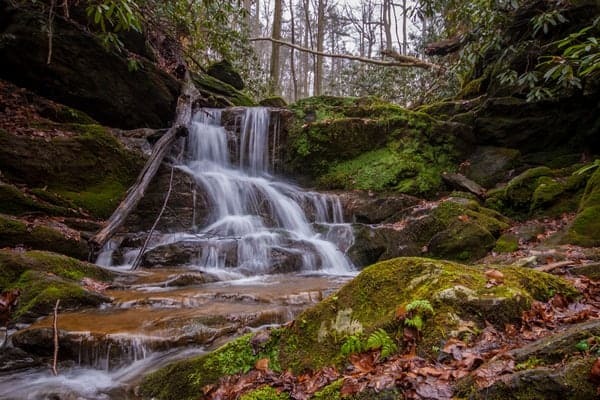 Wild Creek Falls in Carbon County’s Beltzville State Park is a beautiful waterfall that requires only a short hike to see. 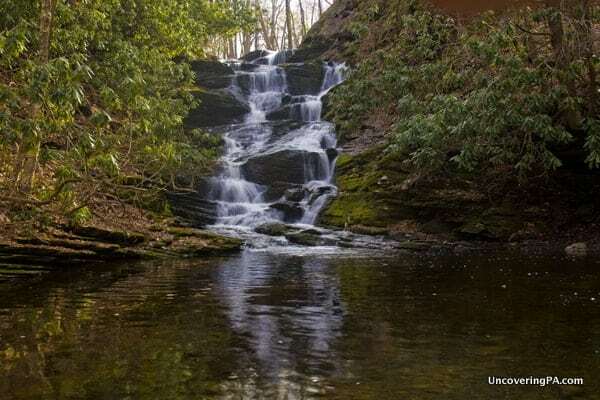 This waterfall is located on a short waterway between Wild Creek Lake and Beltzville Lake and offers a scenic spot to enjoy the outdoors. 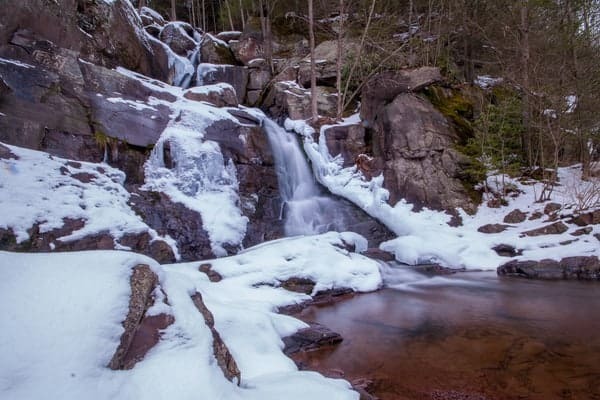 While probably not worth the 80 minute drive to see on its own, there are plenty of opportunities for other hikes in the park, as well as the chance to explore other nearby waterfalls like Glen Onoko and Hawk Falls. Seven Tubs Nature Area is home to a series of waterfalls. Seven Tubs Nature Area in Wilkes-Barre is located about an hour and 50 minutes from downtown Philly and offers several great waterfalls to explore. The highlight here is a series of small falls and tubs that have been carved into the solid rock. 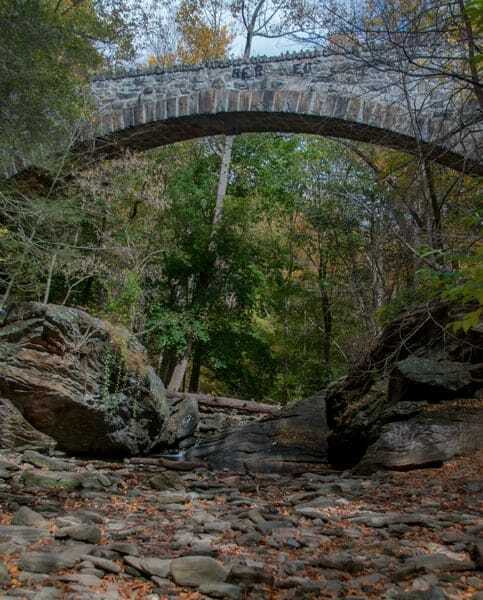 A two-mile hike offers the chance to explore this land and is perfect for those looking for a hiking day trip from Philly. The lower half of Buttermilk Falls is located adjacent to a great rail trail. Luke’s Falls and Buttermilk Falls are two waterfalls just a short walk from each other in Lehigh Gorge State Park, just under two hours from Philly. From the parking area, the waterfalls are located roughly a 10 minute walk in opposite directions along the Lehigh Gorge Rail Trail. This flat path makes these the perfect waterfalls for those looking to enjoy the beauty of the region without doing a strenuous hike. Of course, if you’re also looking for somewhere to go biking near Philly, this is a great choice as the trail extends for miles in both directions. Willing to drive a bit further? 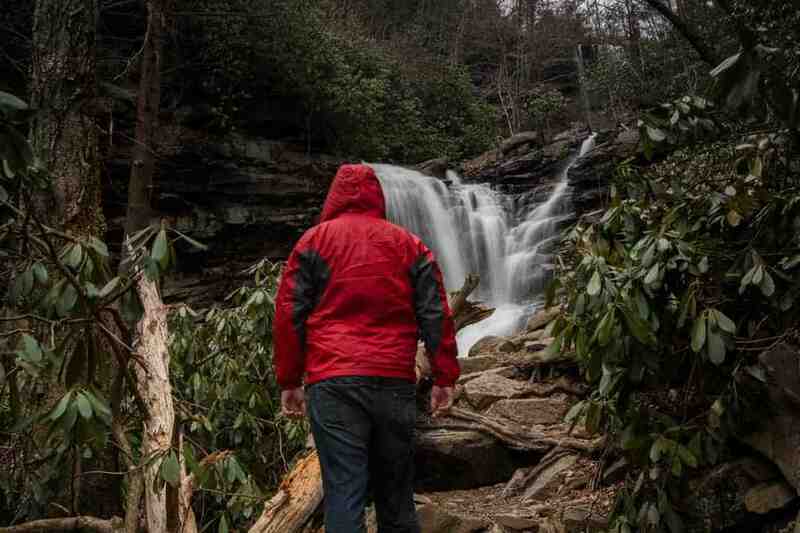 Don’t miss the 20+ waterfalls in Ricketts Glen State Park, the many amazing waterfalls of the Delaware Water Gap, and the great waterfalls near Pittsburgh. 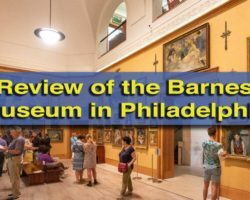 Looking for hiking in Philly? 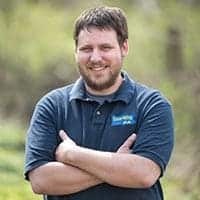 Go for a hike in the John Heinz National Wildlife Refuge and Wissahickon Gorge. My sons (3 and 6) and I are waterfall aficionado’s. Thank you for more useful hikes for us to encounter. We live right next to the water gap and frequent all the falls in the area.